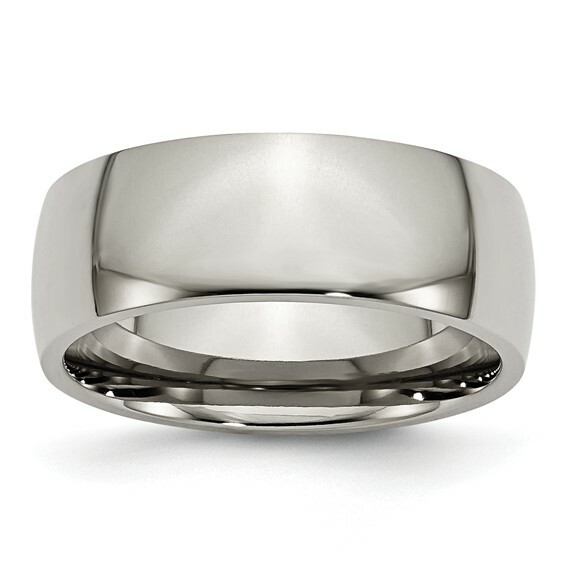 Classic design meets modern technology in this titanium 8mm wedding band. Polished finish. Domed. Made of aircraft grade titanium. Comfort fit. Import.